You're going to love this free printable social story for kids with autism that explains how to safely cross the street. Safety is a concern for many autism families and crossing the street is definitely one area of safety that might need reinforcement with your kids. 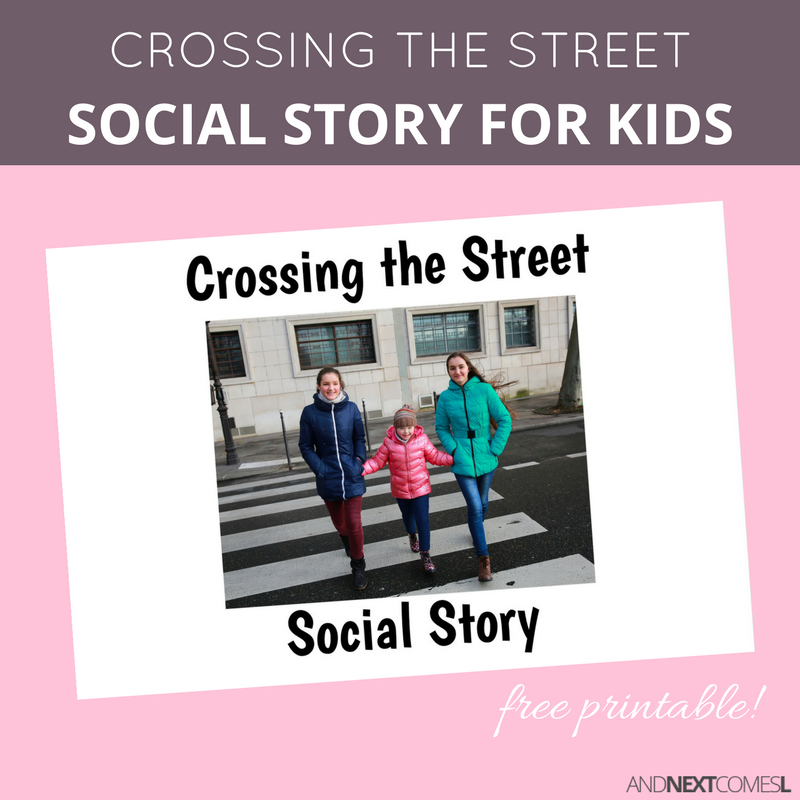 This free printable social story about crossing the street walks your kids through the process. From looking both ways to holding hands to pressing the crosswalk button, this social story covers it all! This social story explains how to cross the street safely. It includes mentions of crosswalk lights as well.